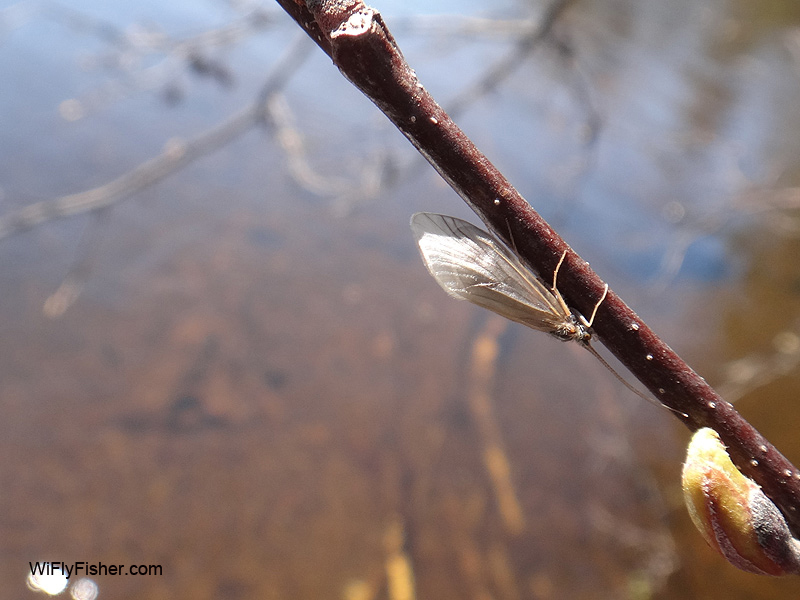 Caddisflies hatch throughout the Spring, Summer and Fall season and are a major source of food for trout. They vary in color, size and emerge at different times of the day and night. 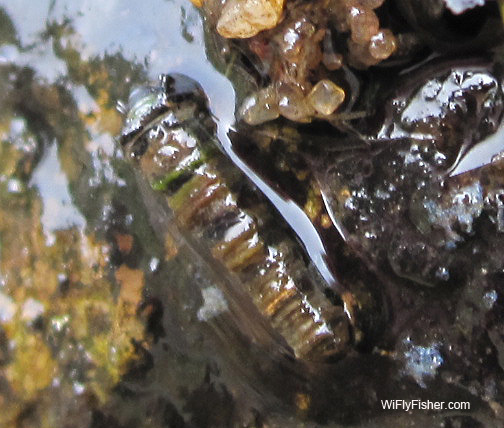 Some of the largest caddisflies, such as the Great Brown Sedge (Pycnopsyche) are over an inch long and emerge at night during the Summer. 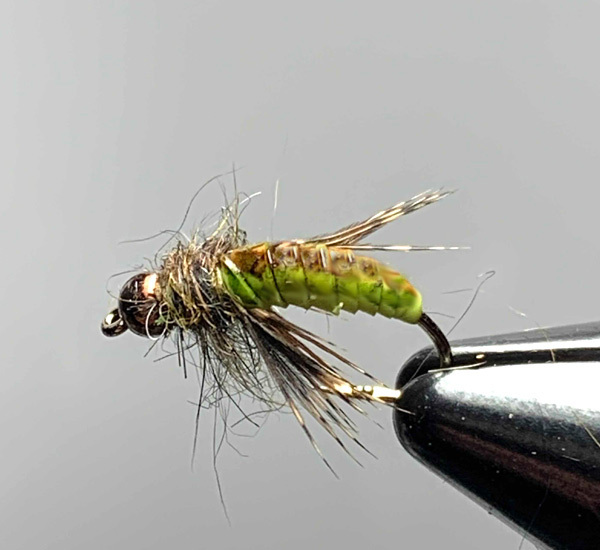 In the Spring on the Northern Wisconsin trout streams it is common to see several different Brachycentrus species emerge, such as the Grannom (darker olive body with a dark brown wing, size #16) or the Apple Caddis (very light tannish colored wing with an apple green body, size #16). 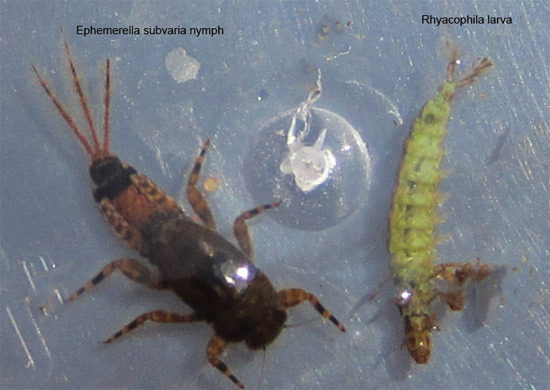 Below are listing some of the most caddisfly hatches found on northern Wisconsin freestone streams. 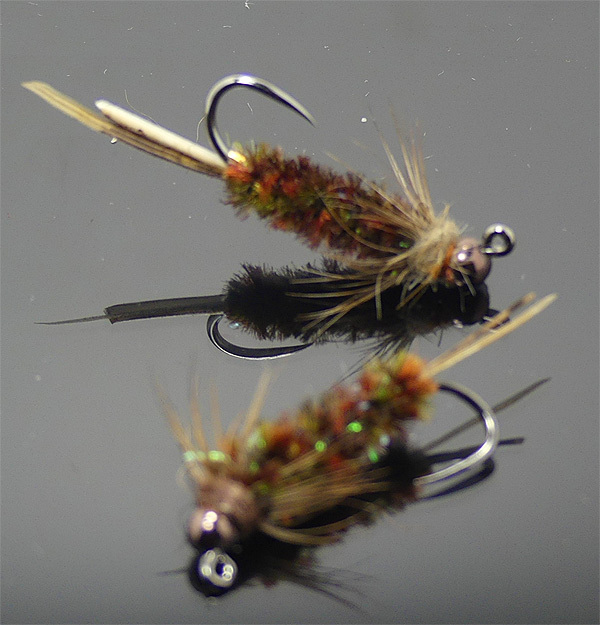 Some occur as dusk or after dark durung the summer and early Fall and may be missed by fly fishermen. 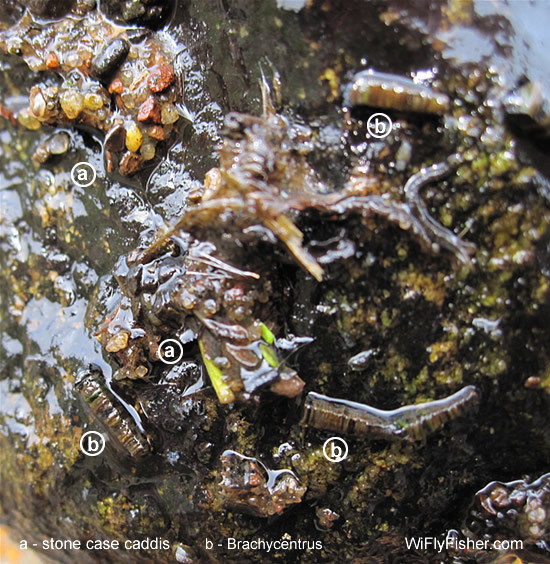 See also: Lifecycle of Caddisflies for more detailed information. 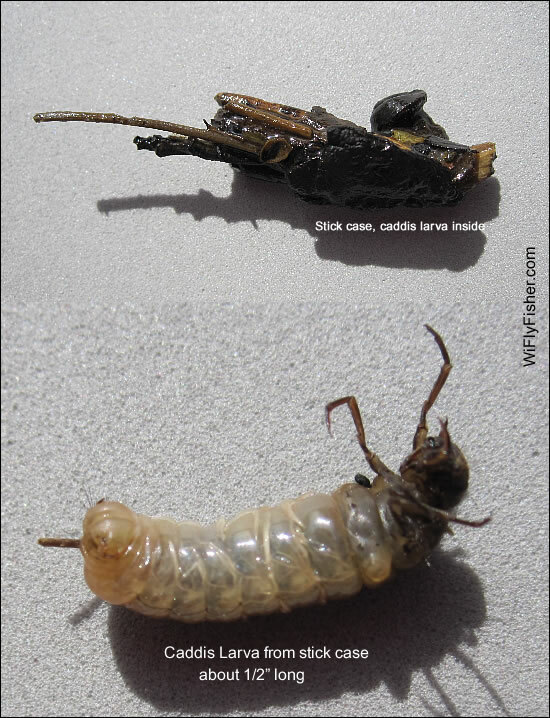 Below are some caddisfly photos I have taken over the years in northwest Wisconsin. 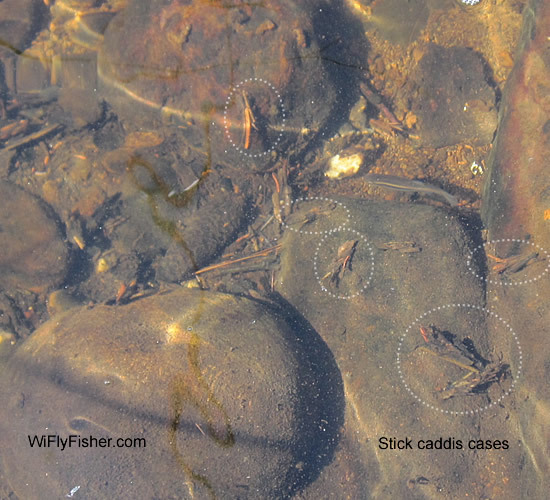 These large stick case larvas may be Hydatophylax argus, the Giant Cream Pattern-Wing Sedge which emerges during the summer nights. It has a cream colored body and light colored wing. 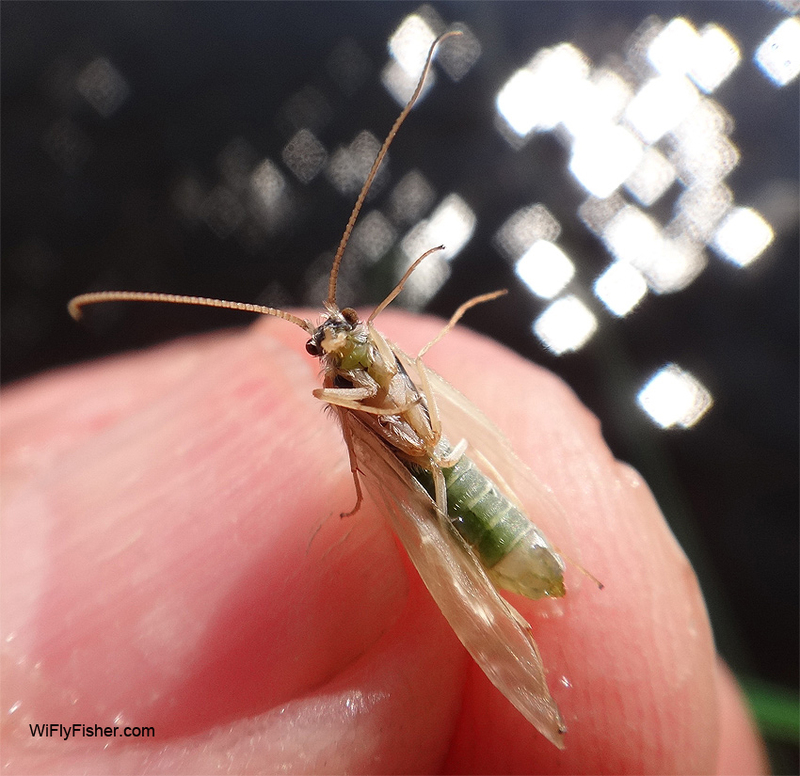 There is also another very large caddisfly in the family Limnephilidae genus Pycnopsyche (Great Brown Autumn Sedge), also called the October Caddis, which emerge in September or October in Wisconsin. 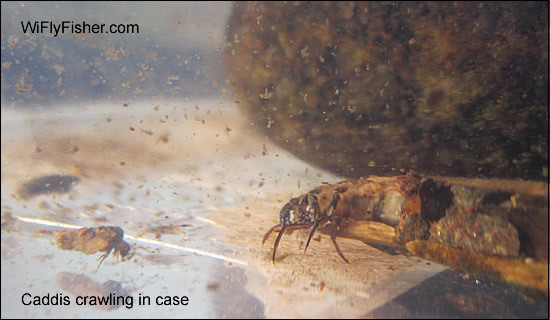 The adult caddis are about 20mm long and have a burnt orange colored body and a brownish mottled wing. 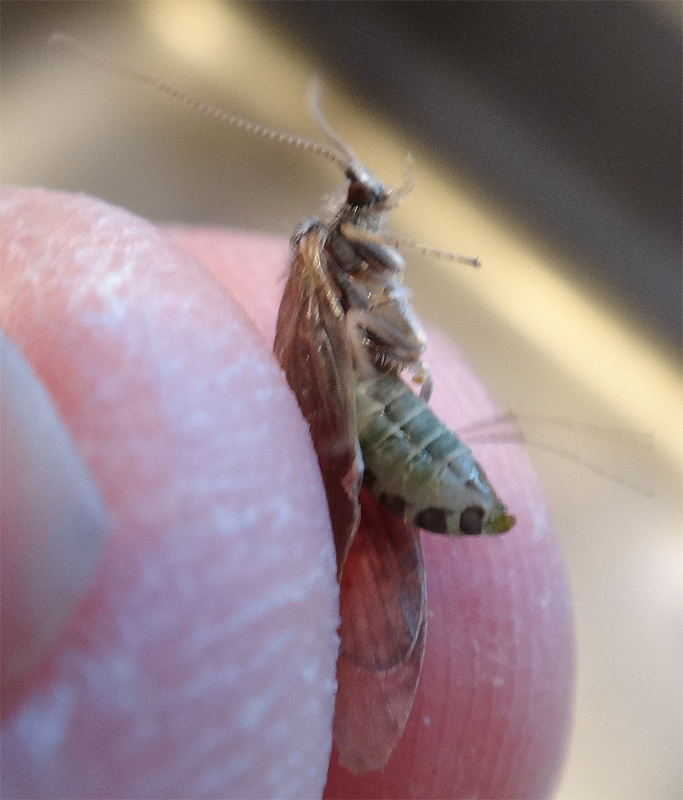 Notice the green body of this size #16 tannish wing caddisfly. 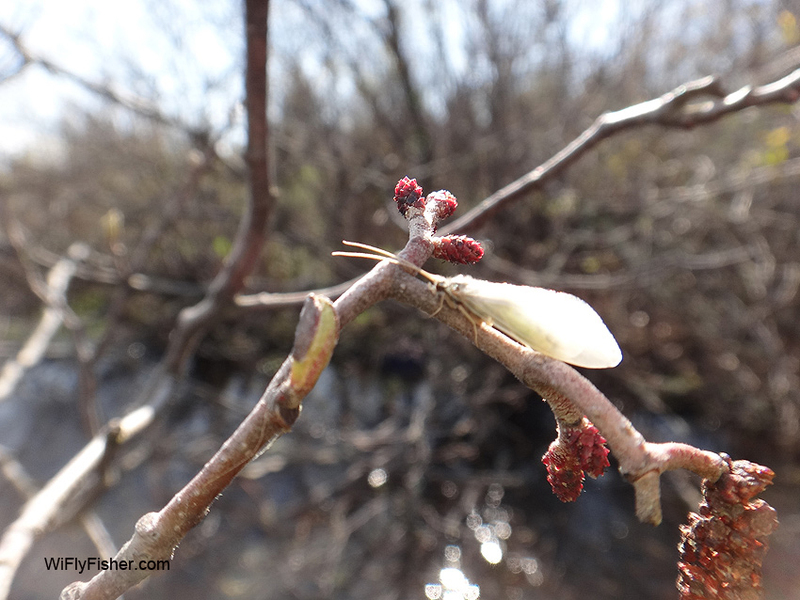 These caddisflies emerge sporatically throughout the days in May in many northern Wisconsin troutstreams. 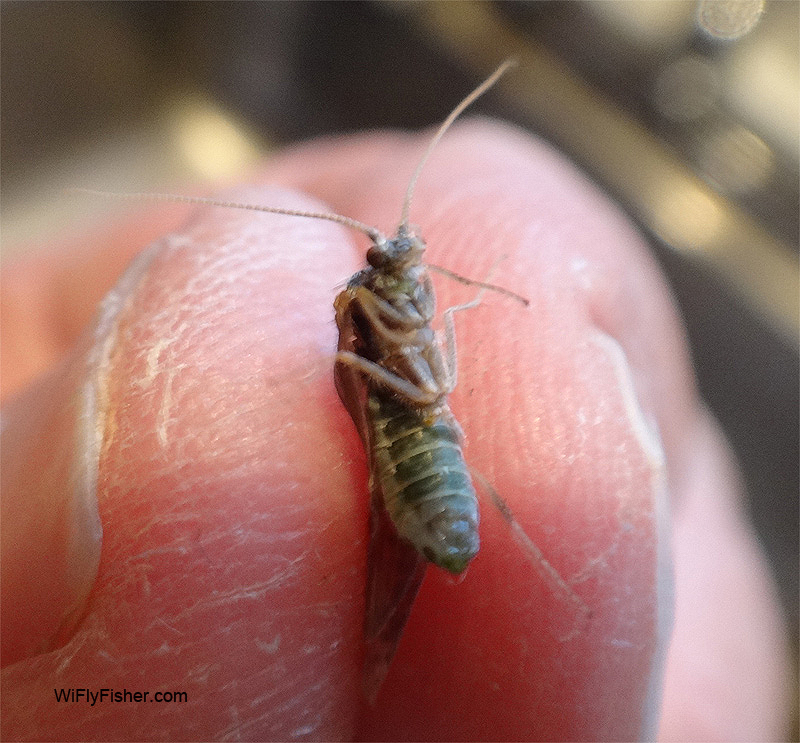 The body is more of a size #18 and the wing is a size #16, which is typical of caddisflies. A CDC and elk is an excellent for this.. See photo below..